Home > AIO starter kit > Aspire > PockeX Pocket AIO Kit > Starter Kit > vape kit > What is Your Reason For Like Aspire PockeX Pocket AIO Kit? What is Your Reason For Like Aspire PockeX Pocket AIO Kit? When we as beginners, Aspire will be our good partner. why? Because it really has a lot of great Starter kits for beginners. So let's talk about one of them, it is PockeX Pocket AIO Kit. 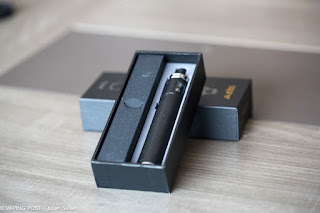 For all beginners, I think the most important thing about the vape kit is that it is easy to use. So today we want to introduce this for everyone, is an AIO starter kit. AIO stands for All-In-One, which means its Tank and Battery are one, so you can use it directly without having to install it first. Aspire offers 6 different styles of colors for you to choose from, I think every one will let you put it down. In terms of performance, the PockeX Pocket kit is powered by a 1500mah built-in battery, which can support your long vaping. Of course, it also has a USB charging port, so you have a convenient charging experience. The PockeX Pocket Kit has only one fire button, so it's really easy to use. Yes, the PockeX Pocket kit has 2ml of e-liquid storage space for you to use more convenient. In addition, it is equipped with a convenient top filling system, so that adding e-liquid is just as easy for beginners. Most importantly, it comes with two different atomizer coils, giving you a different vaping experience. 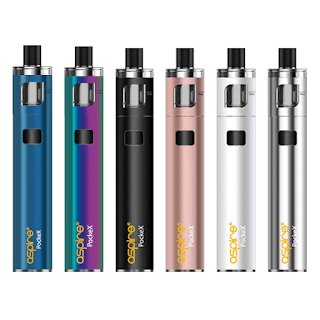 So does the Aspire PockeX Pocket AIO Kit make you love it? What Memory Does the Aspire NX30 Mod Evoke?